The Caribbean Community (CARICOM) maintains its full support for the sovereignty and territorial integrity of Guyana. In more recent developments on this issue, on 26 May 2015 Venezuela issued a decree titled Presidential Decree 1.787 of the Bolivarian Republic of Venezuela which was revised on 8 June 2015. This decree laid claim to all the Atlantic waters off the Essequibo coast of Guyana, and affected the maritime space of not only Guyana but also of a number of other Member States. In response to this act by Venezuela, CARICOM emphasised "the need for peace and stability" as the basis for enhancing regional cooperation and the development of both countries. Speaking on the issue at the Thirty-Sixth Regular Meeting of Heads of Government, in Barbados, the Rt. Hon. Freundel Stuart, then Chair of CARICOM, reiterated CARICOM's position of "total support for the integrity of Guyana's territory and maritime space. “We are committed to assisting Venezuela and Guyana in this dispute, preferring at all times a peaceful solution… But as of now, having regard to the fact that there was an arbitral award in 1899 and having regard to the fact that the Geneva Agreement of 1966 has not yielded the kind of results that either Venezuela or Guyana expected, CARICOM’s formal position has to be a commitment to the territorial integrity of Guyana,” he said. “We cannot contemplate such an end if we do not have a mechanism in place. For in the event the peaceful solution we prefer does not happen, an alternative mechanism can be sprung into action that can settle the matter by judicial means”, he also said. Guyana’s pursuit of a peaceful settlement, over the years, has yielded mixed results. A founding member of the almost 44-year grouping, many of its diplomatic interventions have rested on the pillar of foreign policy coordination, one of five pillars which underpin CARICOM integration and one of eight strategic priorities in the Community's Strategic Plan (2015-2019). Heads of Government received an update from the President of Guyana on recent developments on the controversy between the Cooperative Republic of Guyana and the Bolivarian Republic of Venezuela, and the efforts of United Nations Secretary General, H.E. Antonio Guterres, to find a final and binding solution. Heads of Government welcomed the appointment of His Excellency Dag Nylander as Personal Representative of the UN Secretary General in the Good Offices Process for the duration of 2017, with a strengthened mandate of mediation. They noted that “if by the end of 2017, the Secretary-General concludes that significant progress has not been made toward arriving at a full agreement for the solution of the controversy, he will choose the International Court of Justice as the next means of settlement,” unless the Governments of Guyana and Venezuela “jointly request that he refrain from doing so”. They recognised the strong commitment of the Secretary-General to the process and joined Guyana in acknowledging his efforts. Heads of Government reiterated the firm and unequivocal support of the Caribbean Community for the maintenance and preservation of Guyana’s sovereignty and territorial integrity. "Heads of Government received an update from the President of Guyana on the most recent developments on the controversy between the Cooperative Republic of Guyana and the Bolivarian Republic of Venezuela and the particular efforts of former United Nations Secretary-General, Mr. Ban Ki Moon, to find a way forward under the Geneva Agreement – as they had exhorted at their Meeting in July 2016. They joined President Granger in acknowledging these efforts. Heads of Government welcomed the decision taken by Mr. Ban Ki Moon before demitting Office and the resulting prospect of 2017 as a ‘final year’ of the ‘Good Offices Process’ of the Secretary-General, to be followed by a referral of the controversy to the International Court of Justice “if, by the end of 2017, the Secretary-General concludes that significant progress has not been made toward arriving at a full agreement for the solution of the controversy”. Heads of Government welcomed Guyana’s unqualified acceptance of the UN Secretary–General’s decision, and expressed the hope that its implementation in good faith by both parties will lead to the resolution of the controversy and the release of the parties and of the entire Caribbean Region from its unwanted implications. Heads of Government also welcomed the proposal of Mr. Ban Ki Moon for ‘confidence building measures’ and President Granger’s assurance of Guyana’s willingness to explore all possibilities consistent with Guyana’s sovereignty and territorial integrity. To the extent that any such measures require regional support, Heads of Government pledged their best efforts to that end. Heads of Government reiterated their firm support for the preservation of Guyana’s sovereignty and territorial integrity". "Heads of Government received a report on recent development in the relations between Guyana and Venezuela. They also received a report on the current efforts of the SG of the United Nations proposing a way forward to the two countries towards a decisive end to the controversy. "Heads of Government received an update on the recent developments with respect to the controversy between Guyana and Venezuela. They noted that February 17, 2016, marks the 50th anniversary of the signing of the Geneva Agreement of 1966 between the Parties, which was intended to provide a solution to the controversy arising from Venezuela’s contention that the 1899 Arbitral Award, which definitively settled the land boundary between Guyana and Venezuela, is null and void. Heads of Government also noted that the Secretary-General of the United Nations, having had discussions with the Heads of State of Guyana and Venezuela in September 2015, has since made a proposal to the two countries on the way forward towards a decisive end to the controversy. Heads of Government expressed their full support for the role of the United Nations Secretary General and his efforts, in keeping with the provisions of the Geneva Agreement, to bring the controversy to a definitive and judicious conclusion. Heads of Government reaffirmed their unequivocal support for the maintenance and preservation of Guyana’s sovereignty and territorial integrity". "CARICOM Heads of State and Government reaffirmed the longstanding, deep and wide-ranging friendship between CARICOM and the Bolivarian Republic of Venezuela. They recalled the numerous agreements in the area of trade, investment, tourism and people-to-people contacts which bind the Governments and peoples of CARICOM and Venezuela together. They discussed in detail Decree No: 1.787 of 26 May 2015 issued by the Government of the Bolivarian Republic of Venezuela. Heads noted in particular the negative implications which the Decree has for the peace, security and development of the Cooperative Republic of Guyana. They recalled that just under a year ago on 8th September 2014, the Honourable Gaston Browne, Prime Minister of Antigua and Barbuda, in his capacity as Chairman of Conference, had written to His Excellency Nicolás Maduro Moros, President of the Bolivarian Republic of Venezuela, encouraging Venezuela to redouble its efforts at an early delimitation of the maritime boundary between Guyana and Venezuela. Prime Minister Browne had also encouraged Venezuela to assist in the finding of an early solution to the controversy that has emerged from the Venezuelan contention that the Arbitral Award of 3rd October 1899 that established the boundary with Guyana, is null and void. In that context, Heads of Government reaffirmed the inviolability of international treaties, agreements, awards and legal instruments and made particular reference to those international legally binding instruments that establish international boundaries. 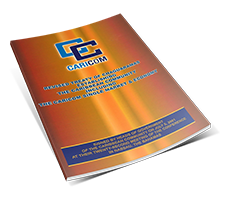 Heads of Government further noted the negative implications of the decree for several other CARICOM countries. Heads of Government called for adherence to accepted principles of international law in relation to the delineation and delimitation of the Exclusive Economic Zone and Continental Shelf in the region. CARICOM states do not accept any unilateral proclamation which is inconsistent with international law. They emphasized that CARICOM states have legitimate territorial and maritime entitlements that conform to international law and that must be respected. As a result of these concerns, and in an effort to have the rights and entitlements of the affected Community Member States fully respected, a delegation of Heads met with the Vice President and Foreign Minister of Venezuela to express the Community’s grave concern about Decree 1787. Heads of Government therefore call upon the Government of the Bolivarian Republic of Venezuela, in the spirit of friendship and cooperation, to withdraw those elements of Decree 1787 insofar as they apply to the territory and maritime space of CARICOM States". “Heads of Government received an overview of the relations between Guyana and Venezuela with regard to the existing controversy which arose as a result of Venezuela’s contention that the arbitral award of 1899, which definitely settled the boundary between the two countries, is null and void. They noted that Guyana had commenced a review of the options available under Article 33 of the United Nations Charter, as provided by the 1966 Geneva Agreement,that could serve to bring an end to the controversy. Heads of Government expressed their continued support for the maintenance of the sovereignty and territorial integrity of Guyana”. “Heads of Government reiterated their firm support for the sovereignty and territorial integrity of Guyana and for the unhindered economic and social development of all of Guyana. They expressed their hope for an early resolution of the controversy which arose as a result of Venezuela’s contention that the Arbitral Award of 1899, which definitively settled the boundary between the two countries, is null and void. Heads of Government also expressed their concern over the lack of progress towards the consideration of options, within the context of international law, in delimiting the maritime boundary between Guyana and Venezuela as agreed by the Foreign Ministers following their meeting on 17 October 2014. They called upon the two sides to pursue the negotiations with greater expediency towards the conclusion of a maritime delimitation agreement”. “The Heads of Government expressed satisfaction over the excellent state of relations between Guyana and Venezuela which has enabled the two countries to continue to implement a vibrant programme of cooperation. The Heads of Government noted that both countries remained committed to the Good Offices Process of the United Nations Secretary General under the Geneva Agreement of 1966 and reaffirmed their support for the sovereignty and territorial integrity of Guyana”. “Heads of Government took note of the continued growing relations between the Republic of Guyana and the Bolivarian Republic of Venezuela. They expressed the hope that the existing friendly relations will aid the efforts towards a resolution of the controversy that emerged from the Venezuelan contention that the Arbitral Award of 1899, that definitively established the boundary with Guyana, is null and void. Heads of Government reaffirmed their support for the maintenance of the territorial integrity and sovereignty of Guyana”. “The Ministers noted that Guyana and Venezuela continued to enjoy excellent relations conducted through regular high level political consultations and a vibrant programme of functional cooperation. They noted that both countries remained committed to the Good Offices Process of the United Nations Secretary-General under the Geneva Agreement of 1966 and reaffirmed their support for the sovereignty and territorial integrity of Guyana”. “Heads of Government expressed their satisfaction that Guyana and Venezuela continued to enjoy exceptionally good relations. They noted that the two (2) countries remained committed to the Good Officer Process of the United Nations Secretary-General (UNSG) in seeking a peaceful solution to the border controversy. They reaffirmed their unequivocal support for the sovereignty and territorial integrity of Guyana”. “Ministers noted with satisfaction the continued growth, maturity and deepening of relations between the Republic of Guyana and the Bolivarian Republic of Venezuela and expressed the view that this positive and sustained friendly climate in the relationship between the two countries was conducive to the realization of the mandate of the Good Offices Process. Ministers reaffirmed their unequivocal support for the maintenance and safeguarding of Guyana’s territorial integrity and sovereignty”. They noted that both countries remained committed to the Good Offices Process of the United Nations Secretary General under the Geneva Agreement of 1966 and reaffirmed their support for the sovereignty and territorial integrity of Guyana”. "Heads of Government expressed satisfaction that since their last meeting, the United Nations Secretary-General had appointed Professor Norman Girvan as his Personal Representative to support him in his role as Good Officer to assist Guyana and Venezuela in the search for a solution to the controversy that arose from the Venezuelan contention that the Arbitral Award of 1899, that definitively delimited the territory between Guyana and Venezuela, is null and void. Heads of Government noted the positive developments in the relations between Guyana and Venezuela and the efforts being made by the two countries to further strengthen those relations and reaffirmed their unequivocal support for the maintenance and safeguarding of Guyana’s sovereignty and territorial integrity". “The Conference received an update on the controversy that arose from the Venezuelan contention that the Arbitral Award of 1899, that definitively delimited the territory between Guyana and Venezuela, is null and void. It noted the positive public statement made by His Excellency President Hugo Chavez eschewing conflict with Guyana regarding the controversy and reiterating Venezuela’s commitment to the Good Offices Process of the United Nations Secretary-General. The Conference expressed satisfaction with the efforts being made by both States and the United Nations Secretary-General to appoint a Special Representative of the Secretary-General to support him in his role to assist Guyana and Venezuela in the search for a means of settlement of the controversy. The Conference reaffirmed their unequivocal support for the safeguarding of Guyana’s territorial integrity and sovereignty and its right to develop its resources in the entirety of its territory”. “Heads of Government noted the impending consultations between Guyana and Venezuela on the identification of a candidate to perform the duties of a Special Representative of the United Nations Secretary-General with respect to the Good Offices Process and underscored the critical importance of the Special Representative in assisting the Secretary-General in the search for a practical solution to the controversy which was initiated by the contention of Venezuela that the Arbitral Award of 1899, which settled the boundary between Guyana and Venezuela, was null and void. Heads of Government reaffirmed their view that the post needed to be filled at the earliest possible time. Heads of Government re-affirmed their unequivocal support for the safeguarding of Guyana's territorial integrity, sovereignty and its right to develop its resources in the entirety of its territory”. “Guyana Heads of Government received an update on the relations between Guyana and Venezuela and in particular the efforts between the two sides to identify a new Special Representative of the United Nations Secretary-General to advance the Good Offices Process. They underscored the need for that post to be filled at the earliest possible time. Heads of Government reaffirmed their unequivocal support for the safeguarding of Guyana’s territorial integrity and sovereignty and its right to develop its resources in the entirety of its territory”. “Heads of Government took note of the recent developments in Guyana/Venezuela relations and the efforts being made to resuscitate the United Nations Good Offices Process which is aimed at finding a solution to the controversy that arose from the Venezuelan contention that the Arbitral Award of 1899 is null and void. They expressed the view that it was therefore critical for a new Special Representative of the United Nations Secretary-General to be appointed as soon as possible in order to advance the Good Offices Process. Heads of Government re-affirmed their unequivocal support for the safeguarding of Guyana’s territorial integrity and sovereignty and its right to develop its resources in the entirety of its territory”. The Conference further noted the endeavours being made by the two countries within the ambit of the Geneva Agreement, to find a means of settlement of the controversy that arose from the Venezuelan contention that the 1899 Arbitral Award is null and void. The Conference reiterated the full support of the Caribbean Community for the maintenance of the sovereignty and territorial integrity of Guyana”. “Heads of Government were encouraged by the level of dialogue and engagement which now characterise the relations between Guyana and Venezuela. They noted in particular the agreements reached by the two countries in several areas of functional co-operation under the aegis of the High Level Bilateral Commission which last met in March 2006 and their renewed commitment to the United Nations Good Officer Process with the view to achieving a peaceful settlement to the controversy which exists between them. Heads of Government reiterated their firm support for the maintenance of Guyana’s sovereignty and territorial integrity and for its right to the development of its entire territory”. “Heads of Government noted with satisfaction that relations between Guyana and Venezuela continued to be cordial. They underscored the importance of the ongoing dialogue at the level of Heads of State and Ministers of Foreign Affairs in promoting this cordiality, and noted that such dialogue had resulted in a renewal of commitment to a peaceful settlement of the controversy through the mechanism of the United Nations Good Offices Process (GOP) and to functional cooperation under the aegis of the Guyana-Venezuela High-Level Bilateral Commission. Heads of Government reiterated their full support for the preservation of Guyana’s sovereignty and its right to the unrestricted development of all its territory for the benefit of its people”.
" ...Ministers expressed satisfaction at the renewed commitment of Guyana and Venezuela to continue to avail themselves of the U.N. Good Offices Process for a peaceful settlement of their border controversy and to promote functional and economic cooperation under the aegis of the Guyana/Venezuela High Level Bilateral Commission. They expressed their strong support for the work of the Commonwealth Ministerial Group on Guyana/Venezuela aimed at maintaining the country's sovereignty and its right to develop all its territory”. “The Conference reaffirmed its support for Guyana’s sovereignty and territorial integrity as well as its right to develop all of its territory. With regard to the controversy arising from Venezuela’s claim to almost two-thirds of Guyana’s territory, the Conference noted with satisfaction that the parties remain committed to the Good Officer process under the aegis of the United Nations Secretary-General to assist in the search for a peaceful solution. The Conference also noted the progress made by the two countries, within the High Level Bilateral Commission established by them, towards closer economic and technical cooperation. The Conference reaffirmed its support for the maintenance of Guyana’s sovereignty and territorial integrity”. “Heads of Government reaffirmed their solidarity with Guyana in its determination to counter the threat posed to its sovereignty and territorial integrity as a result of Venezuela's non-acceptance of the Arbitral Award of 1899, which definitively settled the border between the two countries. They regretted the constraints posed by Venezuela's claim to Guyana's development, particularly in the Essequibo region. They supported the position taken by Guyana that the Geneva Agreement does not preclude it from fully exploiting all of its natural resources. Heads of Government welcomed the continuing commitment of the Governments of Guyana and Venezuela to the Good Offices procedure established under the aegis of the United Nations Secretary-General. They encouraged both countries to continue to avail themselves of this mechanism with a view to finding a peaceful settlement of the existing controversy”. “Ministers noted with satisfaction the continuing commitment of the Governments of Guyana and the Bolivarian Republic of Venezuela, both to the deepening and strengthening of their bilateral relations, including in areas of functional cooperation, and to the continuation of the Good Officer Process under the aegis of the Secretary-General of the United Nations, as the means for the peaceful settlement of the controversy between the two countries. Ministers however noted with concern Venezuela's continuing attempts to deter foreign investment in the Essequibo. Ministers were also concerned by reports of Venezuela's intention to execute an exploratory programme for hydrocarbons in an offshore area that comprises part of Guyana's maritime zone and noted that any such action would constitute a violation of Guyana's sovereignty and territorial integrity and would be in breach of accepted norms of international law. Ministers welcomed the support of the Commonwealth Ministerial Group on Guyana for the maintenance of the sovereignty and territorial integrity of Guyana. Ministers reiterated their unswerving support for the sovereignty and territorial integrity of Guyana”. “Heads of Government expressed their satisfaction with the continued efforts being made by Guyana and Venezuela in advancing their programmes of functional cooperation under the High Level Bilateral Commission. They noted the importance of this mechanism to the strengthening of relations between the two countries. Heads of Government noted with concern however, reports that Venezuela had protested against the signing of an Agreement in May 2000 establishing the company Beal-Guyana Launch Services, for the development of a rocket launch site in the Essequibo which has attracted much needed foreign investment to contribute to Guyana's national development efforts. Heads of Government reaffirmed their full support for the territorial integrity and sovereignty of Guyana and for a peaceful and satisfactory resolution of the controversy under the aegis of the United Nations Secretary-General, a process to which both Guyana and Venezuela remained committed. They welcomed the news conveyed by the Commonwealth Secretary-General that a Meeting of the Commonwealth Ministerial Committee on Guyana would be convened in September 2000”. “Heads of Government noted that 3 October 1999 had marked the 100th Anniversary of the Paris Arbitral Award by which the existing boundary between Guyana and Venezuela was defined by unanimous judgement. They also viewed with concern the fact that Venezuela had reiterated its contention that the Arbitral Award of 1899 is null and void and continues to advance its claim to the Essequibo region of Guyana. Heads of Government further noted the commitment of the two countries to the good offices process of the United Nations Secretary-General. In this regard, Heads of Government fully endorsed the Resolution approved by the Assembly of Caribbean Community Parliamentarians in Grenada on 15 October 1999, a copy of which is appended to this Communique. They reiterated their firm support for the sovereignty and territorial integrity of Guyana and their desire for a peaceful settlement to the controversy”. "Heads of Government noted the existing friendly relations between Guyana and Venezuela conducted in an atmosphere of mutual understanding and respect. In this regard, they welcomed the official visit to Venezuela in 1998 of Her Excellency, President Janet Jagan and her attendance at the inauguration of the President of Venezuela, His Excellency, Hugo Chavez Frias. They also noted with pleasure that the Foreign Minister of Venezuela, the Honourable Jose Vincente Rangel, had paid an official visit to Guyana in March, 1999. They anticipated that the implementation of the Work Programme of the High Level Bilateral Commission that had been officially established in March 1999, during the visit of Minister Rangel, would contribute in a significant and positive manner to the enhancement of functional cooperation between the two countries. They expressed satisfaction over the progress being made under the aegis of the United Nations Secretary-General, through his good officer, Sir Alister McIntyre, for a solution to the controversy. They reaffirmed their firm support for the territorial integrity and sovereignty of Guyana and desire for a peaceful settlement to the controversy between Guyana and Venezuela". “Heads of Government noted the existing climate of friendly relations between Guyana and Venezuela conducted in an atmosphere of respect and mutual understanding. In that context, they noted further, that the Government of Venezuela was the first to send its congratulations to President Janet Jagan following the general and regional elections which took place in December 1997. They expressed satisfaction over the progress being made under the aegis of the United Nations Secretary-General through his good officer, Sir Alister McIntyre, for a solution of the controversy. They reaffirmed their firm support for the territorial integrity and sovereignty of Guyana and desire for a peaceful settlement to the controversy between Guyana and Venezuela”. “Heads of Government noted that the relations between Guyana and Venezuela were cordial and continued to progress through dialogue and mutual understanding although certain irritants continued to be present in these relations. They expressed their satisfaction that the solution to the controversy continued to be dealt with under the aegis of the Secretary-General of the United Nations and in this regard, they welcomed the role of the good officer, Sir Alister McIntyre, in this process. They reaffirmed their full support for the sovereignty and territorial integrity of Guyana and reiterated their desire for a peaceful settlement of the Guyana-Venezuela controversy”. “Heads of Government noted the status of Guyana/Venezuela relations and expressed their support for the McIntyre Process, under the auspices of the UN Secretary-General, as the mechanism for peacefully resolving the border controversy. 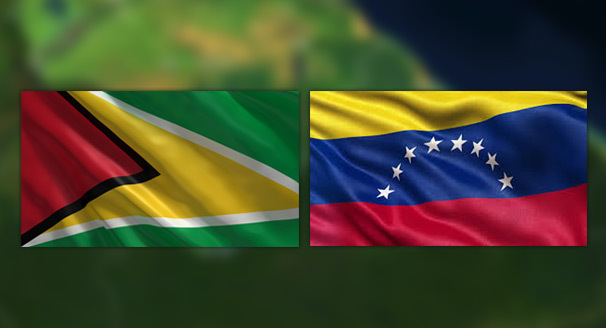 “Heads of Government noted the report of the President of the Guyana on recent developments in Guyana-Venezuela relations and took note of Guyana’s apprehension at the concept of “globality” being advanced by Venezuela to guide the management of Guyana-Venezuela relations. Heads of Government welcomed Guyana’s intention to establish a Parliamentary Select Committee on Border Affairs to deal with this issue. They also welcomed Guyana’s continued commitment to the McIntyre Process as the means of resolving the border controversy and reaffirmed their support for Guyana’s sovereignty and territorial integrity”. “Heads of Government noted the continuing cordial development in Guyana-Venezuela relations. They took note of the contribution of the official visit by President Cheddi Jagan to Venezuela to that process, and the fruitful exchanges which have taken place in both the public and private sectors since then. Heads of Government welcomed the decision of the Governments of Guyana and Venezuela to pursue actively the search for a peaceful resolution to the controversy over the border under the auspices of the United Nations Secretary-General through the Good Offices of Sir Alister Mc Intyre. They expressed the hope that discussions within the Good Offices procedure would continue to be valuable. Heads of Government reaffirmed support for the sovereignty and territorial integrity of Guyana”. “Heads of Government reviewed the status of relations between Guyana and Venezuela, recording their satisfaction with the continued expansion of functional cooperation in several areas, including the private sector, the military, health, education, and energy sectors. Heads of Government welcomed the efforts undertaken by the personal representative of the Secretary-General of the United Nations, Mr Alister McIntyre, to maintain and advance the search for a solution to the controversy. In taking note of these several developments, Heads of Government reaffirmed support for the territorial integrity of Guyana, and expressed confidence that the fulfilment of the McIntyre Process would lead to a resolution of the controversy to the satisfaction of both countries”. “The Heads welcomed the present state of improved relations between Guyana and Venezuela as reflected in the successful visit by His Excellency President Hugh Desmond Hoyte to Venezuela, as well as in the agreements signed and the increase in cooperation in several areas. The Conference particularly welcomed the fact the both President Hoyte and President Jaime Lusinchi of Venezuela reiterated the determination of their respective Governments to cooperate fully with the United Nations Secretary-General in his efforts to assists the parties in finding as acceptable solution to the existing problem. The Heads reaffirmed their desire for a peaceful settlement of the controversy in accordance with the Geneva Agreement of 1966”. “Heads of Government adhered to their previously stated position on the controversy which had arisen as a result of the territorial claim advanced by Venezuela against Guyana. They noted the attempts being made by the two countries to resolve the issues and encouraged their continuing search for a peaceful solution. They commended the parties for cooperating fully with the Secretary-General of the United Nations in the discharge of the mandate, given under the terms of the Geneva Agreement of 1966, to choose a means of settlement. Heads of Government welcomed the recent improvement in Guyana/Venezuela relations and expressed the hope that this would lead to increased friendship and cooperation between them”. “On receiving a report on recent developments in the controversy between Guyana and Venezuela, the Heads of Government reaffirmed their previously stated position on the issue. They noted with satisfaction that relations between the two countries had improved and that both sides had declared their firm intention to maintain this new climate through dialogue and ready cooperation. They welcomed that determination as well as the steps being taken by the Secretary-General of the United Nations to choose, in accordance with the provisions of the Geneva Agreement, a means of peaceful settlement of the controversy which had arisen as a result of the Venezuela contention that the 1899 Arbitral Award was null and void. They regretted the maintenance of exclusionary provisions in some regional treaties and arrangements, despite previous calls for their removal. They urged, once again, in accordance with the principle of universality, that these restrictions be eliminated to allow those States, which are desirous of adhering to those regional treaties and arrangements, to do so”. “The Conference deplored the increasing resort to violence as a means of resolving conflicts and disputes between States. It called on all States to abstain from all forms of aggression and to use dialogue and negotiation to settle those conflicts which now threaten the peace and security of the Region. In particular, it renewed its commitment to the adoption of a unified approach in dealing with economic aggression and to the establishment of a scheme of mutual assistance. Recalling and reiterating the statement which it made on the Guyana/Venezuela controversy at the Third CARICOM Summit at Ocho Rios on 15 November 1982, the Conference reviewed developments in the controversy and noted in particular that the Governments of the two countries had now referred the choice of a means of settlement to the Secretary-General of the United Nations in accordance with the Provisions of Article IV (2) of the Geneva Agreement. Noting the statement by the President of Guyana that Venezuela is continuing certain activities inconsistent with Guyana's territorial integrity, the Heads of Government recalled their previously expressed concern for the sanctity of treaties and their respect for defined and demarcated boundaries, and expressed and the hope that the controversy would be quickly and peacefully resolved in accordance with the provisions of the Geneva Agreement”. “In recalling the resolution passed at the Eighth Meeting of the Heads of Government held in Georgetown in April 1973, which, in dealing with mutual assistance against external aggression, declared inter alia that political independence and territorial integrity of Member States are essential prerequisites for the achievement of the economic objectives of the Community, the Conference discussed developments in the relations between Guyana and Venezuela in the light of the controversy which had arisen as a result of the Venezuelan contention that the 1899 Arbitral Award, on the basis of which the boundary between Guyana and Venezuela was settled, was null and void. Recalling its concern for the sanctity of treaties and for defined and demarcated boundaries, the Conference noted the grave effect that this controversy is having on the relations between CARICOM States and Venezuela and took note of the unqualified undertaking given by the Venezuelan Government to eschew the use of force as a means of settling the controversy. The Conference also called upon Venezuela to desist from further action or threats of action likely to affect the economic development of Guyana. The Conference urged Guyana and Venezuela to continue their pursuit of a peaceful settlement of the controversy in accordance with the terms of the Geneva Agreement of 1966 so as to arrive at a final decision as promptly as possible”. Agreed to support the Foreign Ministers’ decision of July 1979 and to recommend to their Governments that every support should be given to Guyana in the dispute, especially in view of the fact that the matter may be raised at the International Labour Conference next month and that every step should be taken to reach a peaceful solution to this question with full territorial integrity for our sister CARICOM State”.